YORKLYN – DNREC’s Division of Parks & Recreation’s Auburn Heights Preserve takes visitors back in time to explore the age of steam as it hosts “Steamin’ Day,” 12:30 – 4:30 p.m., Sunday, Aug. 5, and continuing on the first Sunday of every month through November. Visitors are invited to witness the dawn of the automotive age with a look inside the Marshall Steam Museum, which houses the largest collection of operating Stanley Steam cars in the world. During “Steamin’ Days,” the public can ride in the steam cars as well as on a one-eighth-sized operating railroad system encircling the property, see a live demonstration on how to “fire up” a steam engine, visit museum displays, take tours of the Auburn Heights mansion, and walk the trails that wind through the preserve and the town of Yorklyn. 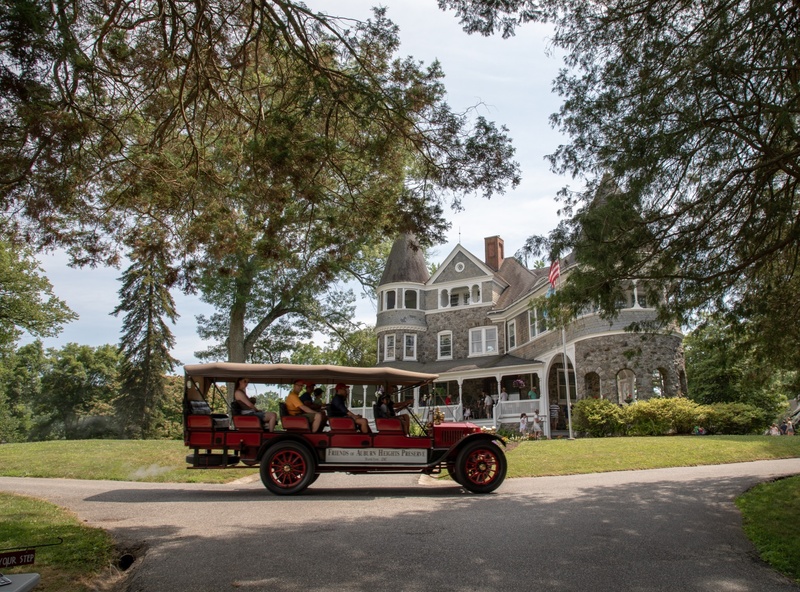 Visitors can learn more about steam cars and their connection to the Marshall family during tours of the mansion that was home to three generations of the influential family that donated the Queen Anne Victorian mansion, land and the museum to the Division in 2008. Tickets range from $8 – $19, depending on amenities. More information is available at AuburnHeights.org , at destateparks.com, or by contacting Aaron Ferguson, Auburn Heights Preserve interpretive programs manager, at 302-239-5687.